After winning the first two Women’s Premier League (WPL) titles in 2009 and 2010, New York spent the following four seasons in the fifth-place bracket, slipping a place each year. In 2014, New York was winless and finished eighth overall. But even then, the pieces were in place to rebuild, and rather than drop a division or disappear entirely – both of which have happened to former WPL teams – New York spent the next three years regaining its former status as champion. Five years after its last WPL title, New York was back in the championship bracket. In 2015 the team finished fourth, and after an undefeated regular season in 2016, New York finished third. During both post-seasons, the Blue Conference’s Glendale beat New York, but those defeats provided valuable lessons. Some of that knowledge was lost in player turnover this season. 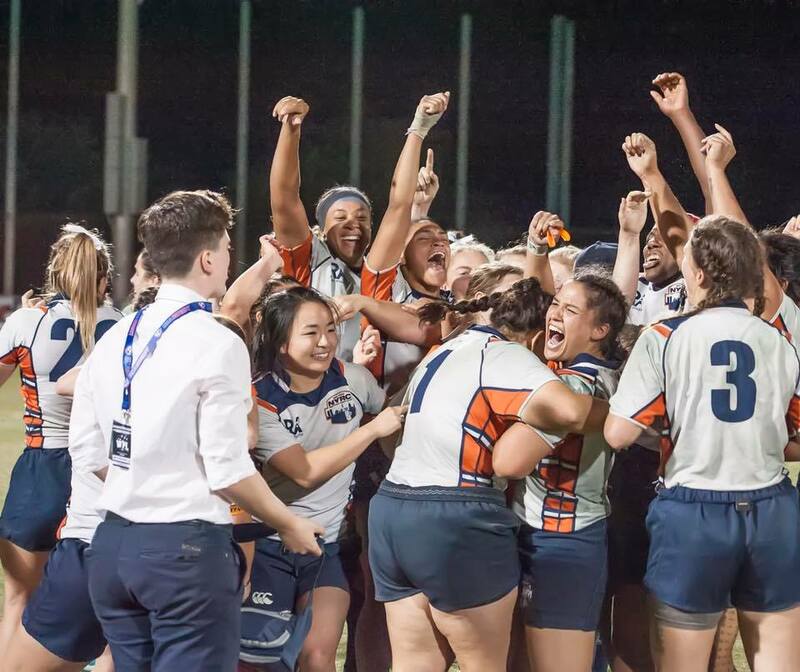 Compare the 2016 and 2017 championship rosters, and only five players returned to the starting XV: Eagle captain Tiffany Faaee, Alycia Washington, Cynthia Wright, Shelby Lin and Emily Magee. Factor in the reserves and there is certainly more experience, and then of course there’s veteran Rebecca Brafman, who has now played on all four of New York’s national championship teams (including the 2016 DI title). But more importantly, the right culture was in place, and that set up the younger and newer players to succeed during New York’s 8-0 regular season. English was effusive in his gratitude to captains Faaee and Lin. Glendale, too, knew how to exert pressure and drew a yellow card on New York’s tryline. A dive-over try and quick dropkick conversion followed, and the Merlins were within one point of New York, 27-26. There was time for one more passage of play.